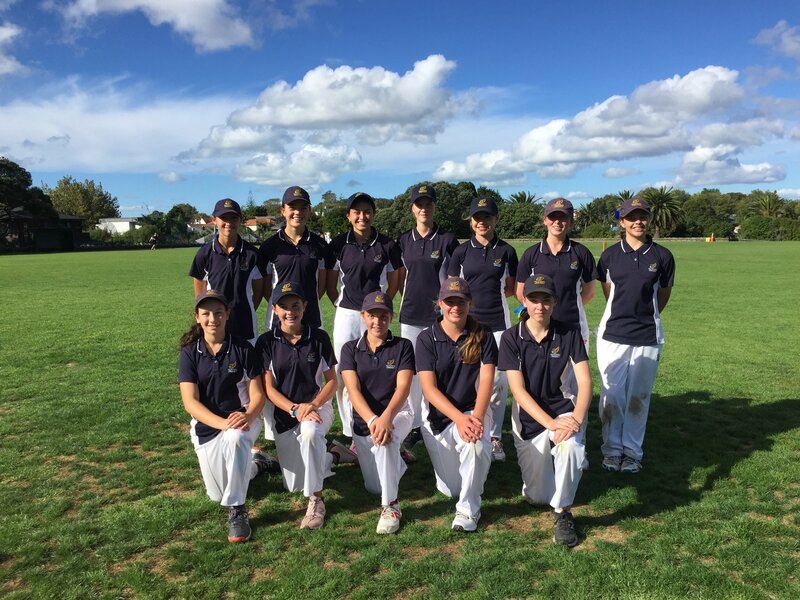 The Bay of Plenty Under 14 Girls representative team, returned from a tournament against two Cornwall Cricket Club sides and a visiting Christchurch Girls team over the weekend (6-7 April 2019), with two wins from the two matches that they played. With the Saturday matches abandoned because of wet weather, the Bay of Plenty side played two Twenty 20 encounters on day two. Bay of Plenty Coach Rebecca Yee said “While we didn’t get to play the Christchurch girls, they were beaten by the Cornwall first team, which would suggest that we were the strongest side at the tournament”. “This is the fourth time we have played in this tournament, with the two from two wins this season, being our best result”. First up was the Cornwall Club top side, who batted first and reached a solid 101/4. Aimee Unwin was in top form taking two wickets, after the Bay side struggled a little to get early wickets. Tash Wakelin (34no) and Jorja Neill (26no) fought hard to get the required runs, with victory coming in the 19th over. Bay of Plenty were in solid form with the bat, against the Cornwall Development team, when they posted 123 for the loss of four wickets. Amelia Harvey posted a big milestone, with a half century, finishing with 55 not out in the scorebook. Aimee Unwin also made a solid contribution reaching the twenties. Another big Under 14 Girls milestone came, when Tash Wakelin grabbed a triple wicket maiden over, as their opponents were bowled out for just 55. Amy Clegg chimed in with two wickets in the Bay of Plenty big 68 run win.